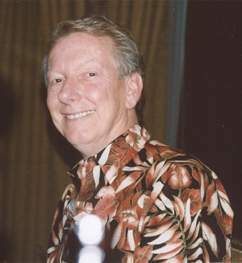 Terry Rippa was inducted into the Swing Dance Council Hall of Fame in 1992 as its eleventh member and youngest inductee. He has taught and coached dancers since 1980, introducing literally thousands to Swing dancing. He credits his success in getting students quickly through basics and onto the dance floor to his ability to explain dance. His students, and seasoned dancers alike, will tell you he is sought out for his ability to teach the highly-desirable-difficult-to-master-double-resistance Rock Step. Terry doesn’t just teach dance. He has been an integral part of the Dallas Push Club since 1977, serving in every officer position and representing the club at associations from city to national levels. As a leading proponent of the Relative Placement System, he helped change contest scoring procedures nationwide. Through his dedication and leadership, the Dallas Push Club remains one of the oldest and largest West Coast Swing dance clubs in the country. Terry’s goals have always been to preserve, perpetuate, and promote Swing dancing. He continues to work tirelessly behind the scenes at the Dallas Push Club, promoting dance-related activities. An accomplished deejay, he is always on the lookout for dance music and has amassed an amazing collection of recordings for dancers. Terry understands the importance of camaraderie in promoting dance, and his students will tell you that the after-class “dance bonding” at a nearby restaurant is a popular venue for getting to know potential new dance partners. Terry’s lists his greatest accomplishment as Dallas DA.N.C.E. – the largest West Coast Swing dance convention in the nation, and his highest honor is his inclusion in the Hall of Fame.